Talking to only one company gives you no point of reference. You’ll want to compare at least three bids from three different companies while you’re deciding who is going to build your pool, even if the companies in the running are referrals. And, speaking of referrals, make sure you get them. Entrusting someone with that much money and responsibility without the recommendation of someone you trust – and without thoroughly checking them out – may not end well. A pool design with multiple curves, steps, shelves, and other add-ons will raise the cost. Keep it simple for the best chance of keeping the price down. Exotic tiles and finishes in the pool, and upscale materials used on the decking and patio, can add thousands of dollars to the overall cost. A spa, a waterfall, a bubbler, and an Infinity edge… All are desirable pool features, and all will add to your bottom line. “By some estimates, the actual construction of an in-ground pool is only about half of what you will eventually pay,” said Pool Pricer. The bigger the pool, the more expense you’ll have in piping, pumps, filters, chemicals, and energy used. 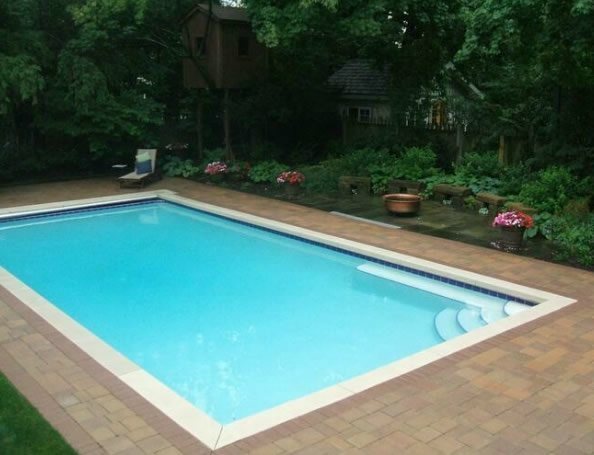 Pools get dirty and have to be cleaned and maintained regularly. The monthly cost averages $130 to $378, according to HomeAdvisor, with pool cleaners charging $75 to $100 per hour or more. But, much of this cost can be eliminated if you choose to maintain the pool yourself. “Maintaining your pool yourself will take less than two hours as long as you do it regularly. Routine maintenance not only keeps your pool clean for use, but it also allows you to spot problems early on – before they become big, costly repairs,” they said. The swimming pond is a growing trend that brings a natural look to the yard and limits the amount of maintenance that needs to be done. “One of the great benefits of a swimming pond is that it is chemical free. When managed properly, natural swimming pools have crystal-clear water and require no chemicals to maintain because they are self-cleaning mini-ecosystems,” said Good Housekeeping. 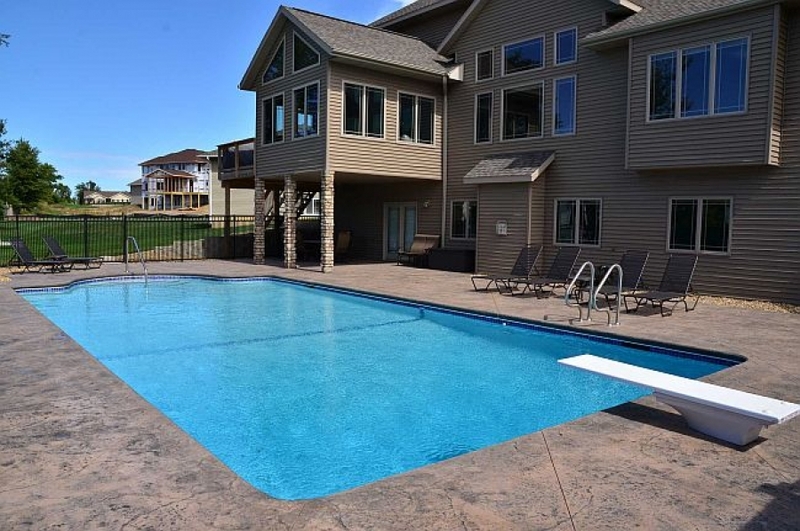 “Adding a heater after having owned the swimming pool a season or more can be a great idea because pool owners can get a true gauge on just how much they need a heater, as well as what type of heater will suite them best,” said Sheridan. This is especially useful in warmer climates where homeowners may not even need a heater in the summer. A pool that is located under trees may benefit from shade and therefore not need as much heating, however, it might end up with more leaves and debris, increasing the need for cleaning. The distance from the house is also a factor. “Well-planned pools are generally located close to the house, reducing costs associated with energy and water,” said Contractors.com.